B&W image of RCA 501 computer system vote projection. Has announcer sitting at a desk with ear plug and microphone staring at the camera.. To his left are two telephones and on the right is a stop watch. 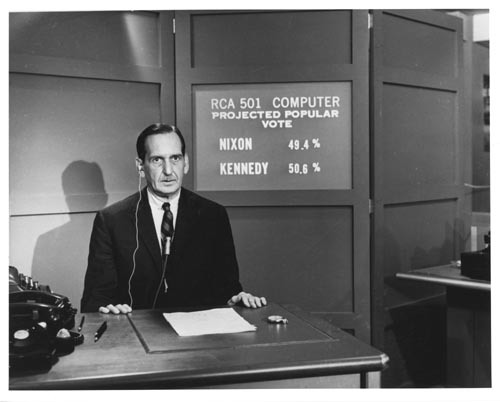 Behind him is a screen with " RCA 501 Computer Projected Popular Vote Nixon 49.4% Kennedy 50.6%."